Let’s start with why it’s a very sad day. 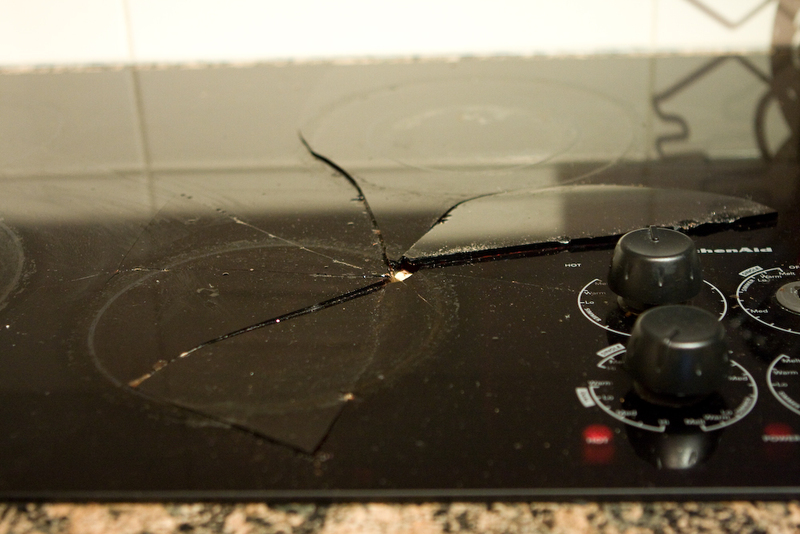 It’s very sad because our glass cooktop is smashed into pieces. Cliff was opening a cupboard above the cooktop, and a glass bottle of vinegar fell out, hitting the glass, and breaking it instantly. Given how much we cook and live for food, this is a major tragedy. How ever long it takes for a replacement to be shipped, we’re going to be without our cooktop for a number of days. And, cha-ching! These things are just pricy to replace. Sigh…such is life. Broccoli is not my all time favorite vegetable, but I like it enough to buy it and cook it. Generally we steam it and sprinkle with cheese, or stir fry it with beef. But today I was reading an article on Apartment Therapy about things people put on the grill. One reader suggested putting broccoli on the grill. Huh! Grilled broccoli! I’ve never ever heard of that before. Given that we have no other way of cooking the head of broccoli in our fridge without the cooktop, I threw the broccoli on the grill tonight, along with some asparagus and pork chops. To grill the broccoli, you basically wash it first, cut it into 4 large pieces, drizzle with grapeseed oil and sprinkle with some salt. It goes on the grill on low heat for about 12-15 minutes, turning a few times to cook evenly. It’s that easy. I liked it so much that I was tempted to eat it all before Cliff got home. But I was nice enough to save him a little bit. 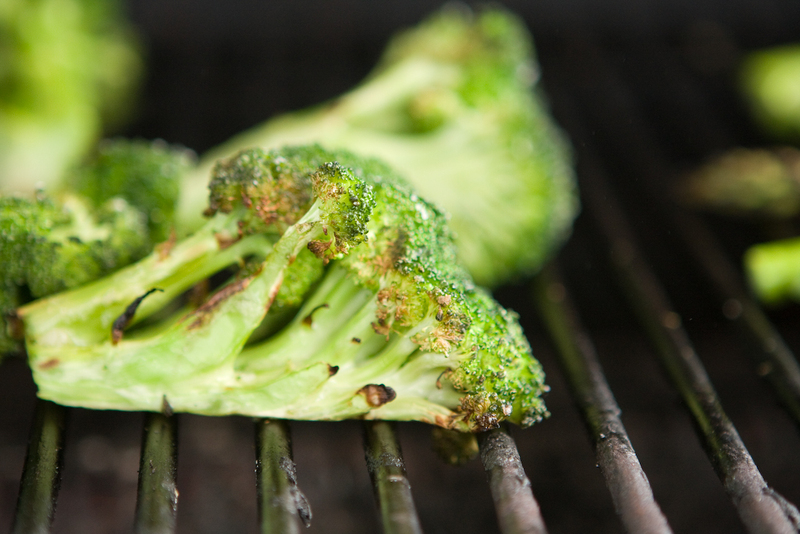 The grilled broccoli has a nice crunch and a great grilled flavor to it. It was so good that it made me think about buying broccoli again this weekend. This entry was posted in Cooking and tagged broccoli, grilled by angelasaito. Bookmark the permalink. I made this tonight – and it was so good! Thanks for the idea! Miles wasn’t too sure about it, but James and I really enjoyed it. It’ll definitely be a regular part of our summer dinners. Hope your new cooktop arrives soon! Cool! I’m glad it worked out for you! Cliff tried making it the other night and burned all the broccoli. Not quite sure what happened. Hehe. I found your blog while looking for a picture of a broken glass top stove. I wanted to ask your permission to use the picture of your stove above, in a post on my blog.